We've started some research, but getting a little overwhelmed with options. There looks to be great, close to town hiking. We live in the mountains in NC, so we do some hiking, but not wanting anything strenuous. Just a nice day hike to see beautiful scenery. Lower Reid Falls, Yakutania Point, Smugglers Cove and Lower Dewey Lake all look like good options. What are everyone's preferences and recommendations? We went out to Yakutania Point early in the morning during our day in Skagway before our White Pass railway excursion. It was nice to see town while it was empty and the view out on the point was nice but I would call it more of a walk than a hike. Later in the day we did Devil's Punchbowl, which has stunning views but is the definition of a strenuous hike, so not what you are looking for. We had the problem as you, too many great looking hiking options in the area and not enough time to do them all. The link goes to the page, post 244 is the beginning of Skagway. I would recommend the hike. Yak point is a stroll. Upper Dewey is a grind of a hike, but if you do get to there, be sure to go on down to the Punchbowl! Lower Dewey is a careful half hour up to the lake, but DO NOT go around the lake! THe trail on the backside of the lake is a real ankletwister and no reward for that journey. i always like to take people to the Gold Rush cemetery for the short hike up to lower Reid falls. The beauty of most of our trails in Skagway is the reward at the end of the trail! You may pick up a free hiking map at the NPS or the city visitors bureau. Lots of good advice from the locals to be found there! Yakutania Point and on to Smugglers Cove, lunch in town, and then a separate hike to Lower Reid falls - doable? We're in port 8am-8pm. Living here in NC...I agree with this statement. I know you're asking dyeadave specifically as the local expert, but from my experience I would say that your plan is easily doable. My advice, dress prepared for wind. That's the one thing that could make your hiking plans less pleasant. 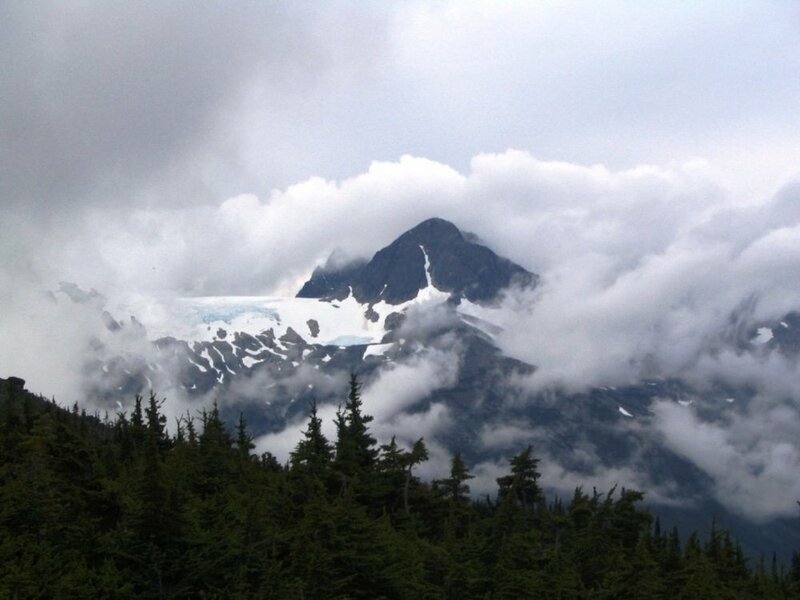 The name Skagway is derived from the Tlingit word that describes the windy nature of the area. Get your hair out of your way...secure your hat! This is what we did last year. Very doable. We ate lunch at the Skagway Brewery and returned for a pint after the hike to the Lower Reid Falls. Ditto the advise about stopping by the park ranger station. Great info about the area. My favorite area of the "greater Skagway" area is actually the old ghost town of Dyea. 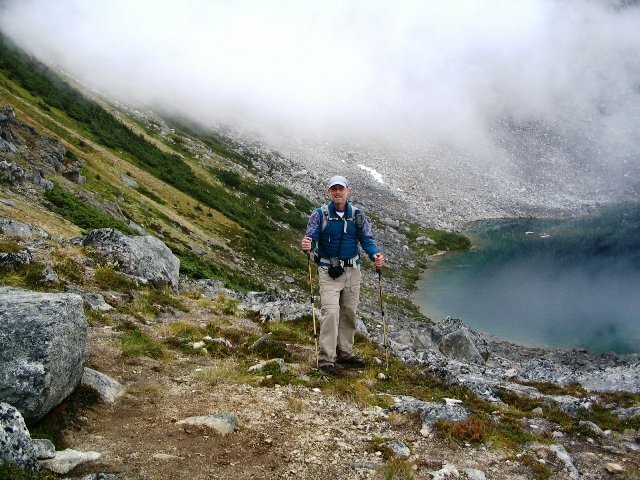 The Klondike National Park Skagway unit website (www.nps.gov/klgo) has some nice ideas for Chilkoot Day Hikes. Look for them under the "Plan Your Visit" tab. Great for history buffs. Upper Dewey Lake is spectacular on a blue-sky day. If you like hiking, and don't mind a strenuous hike, DO THIS!!! Maybe more like around Saluda. And the trail around your area are more well groomed than this one. The flat rocks can be quite slippery on a rainy day. But the real treat of the lower Dewey trail is about halfway to the lake. You come out on a corner overlooking your cruise ship from above and if you have the right lens, (and its the right time in the summer), you might get the cruise ship with the Harding glacier in the background! I can see the 6000 ft top of Mt Harding from my front window, and the "hanging Harding" glacier beside it, but the ice won't begin to show until summer, maybe when you are visiting us? It's been a few years, but before we had kids, we did Upper Dewey Lake. It was a pretty steep climb of 3000 feet but amazing. We ran into about four other people while on the trail. One of our best memories of the cruise... walking off the ship while everyone else was sleeping it off and starting a hike a few hundred yards from the pier. When we go back to Alaska on a cruise we won't be able to do it again due to two young hikers but one day we will do it again. National Geographic has a map of the area. Search for "National Geographic Chilkoot Trail"
Good to know! We are close to and spend a good bit of time hiking in Pisgah Forest in Brevard. It's a lovely area and much more like Saluda. There's really only mall hiking in Arden which is just a bit north of my house! Is it doable to squeeze in Lower Dewey on top of Yakutania/Smugglers Cove and Lower Reid Falls? The view overlooking the cruise ship sounds like something not to be missed. We're there the first week of July if that makes any difference. Hubby is a better hiker than me, but I do alright, especially when motivated by scenery and/or waterfalls! We're figuring on Skagway being our intensive hiking port! I'm looking at trying to get to Devil's Punchbowl when in Skagway. Princess shows we are in port 7AM-830PM. I am in good shape and will be training for the Pikes Peak Ascent (half marathon going up Pikes Peak) so uphill doesn't bother me, and actually is appreciated for my training plan. If I get out there early, is that time frame doable to get there and back to the ship? I did this hike some years ago and check out the view of upper Dewey when I turned my head around on the way to the Devi's Punch Bowl. The views are, obviously, SPECTACULAR! You should have no trouble with time for this trek. There is one tricky, but short, boulder field to cross on the way to the Bowl. I suggest using trekking poles since you don't want to twist an ankle on the rocky trails. Yeah those pics convinced me, thanks! 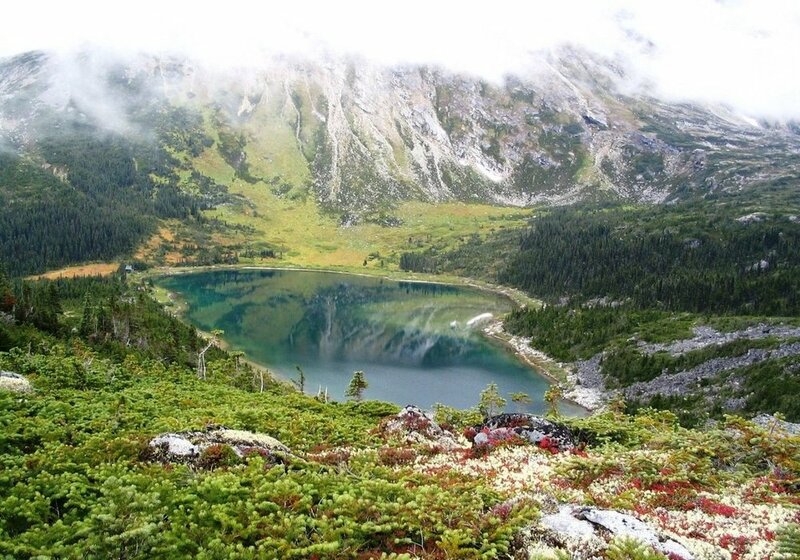 Okay, so that would be a good time to hike to upper lake, from Skagway. Some people come here on an early ship, in May, and then they are very disappointed because the snow is still very deep up there! That four thousand foot elevation is about equal to ten thousand feet in Colorado! Our tree line is just above four thousand feet, here. Then there is the muddy time which can be just as bad, as you near the top. By July, it should be ideal. Im glad that the previous poster noted the boulder field as you go on over to the punchbowl. 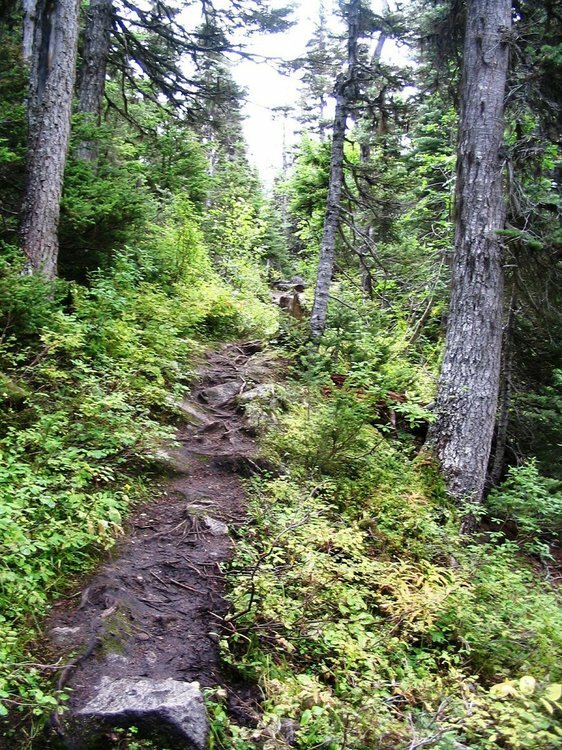 You should definitely go as far as the punchbowl, it is not that much more of a hike, but slow down and enjoy that part as a stroll, even if you have done a bit of a scramble on the trail to the cabin at the lake. You might even find some early blueberries up there! and sorry whimsy88 for hijacking your thread but hopefully it wasn’t too bad. No worries! Good information is always good to share in my opinion. Unfortunately, as pretty as it looks, Devil's Punchbowl won't be on my itinerary - training for a marathon, I am not! I hope you have a lovely cruise and hike. We will be in Skagway the first week of Sept. on Celebrity Solstice. I am looking at a hike on Denver Trail. It would be a train ride to mile 6 then the hike and return on the train. Has anyone done this? How was it? If so how scenic is the train ride up? I love hiking and love scenery. I'm split between this hike and doing the White Pass Summit Trip.